Rebel Yell: Cork Take Home Sam. | What I think About When I Think About Writing. Rebel Yell: Cork Take Home Sam. 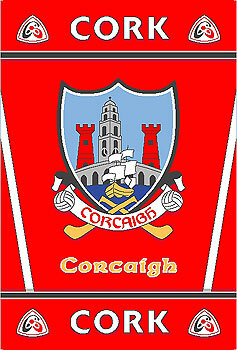 In a pulsating match, in front of a packed-out Croke Park, Cork became the All-Ireland Senior Football Champions for 2010. They beat a dogged and determined Down team by a single point. The final score was Cork 0-16, Down 0-15. Cork could and perhaps should have been up a goal in the first minute but Down goalkeeper Brendan McVeigh had to produce a brilliant save to deny Ciaran Sheehan. This lost chance had an unsettling effect on the Cork team and they scored just two points from play in the entire first half. Down took advantage of a misfiring Cork side and played with purpose and style, with Mark Poland and Martin Clarke providing the clever passes and inside duo John Clarke and Paul McComiskey the finishing power. Down went into the second half leading by 0-8 to 0-5. Cork’s main man, Graham Canty – their injured captain – was withdrawn from the starting 15 due to a hamstring scare, but came on in the second half and immediately brought the lack-lustre Leesiders to life. Alongside another seasoned campaigner, Nicholas Murphy, Canty guided Cork into their best spell of the game, and with man of the match Daniel Goulding scoring nine points (including four frees and three 45s), Cork took the lead for the second time in the 56th minute – and never let it slip. Down refused to give up, and late scores from Benny Coulter and Hughes narrowed the gap to a single point, but Cork held on to win the Sam Maguire Cup for the first time since 1990, much to the jubilation of their travelling supporters. So Cork, very much the nearly men of the last few seasons, made up for last year’s loss to Kerry with a second-half performance that put paid to their critics. The Mourne Men will rue their defeat over the next few days but they can hold their heads up high. They played the best football over the whole season and there can be no doubt that their day will come again. Cork: A Quirke, E Cadogan, M Shields, R Carey, J Miskella, N O’Leary, P Kissane,A O’Connor, A Walsh, C Sheehan (0-1), P O’Neill, P Kelly, D Goulding (0-9, 4f, 3 ’45), D O’Connor (0-5, 2f), P Kerrigan (0-1). Down: B McVeigh, D McCartan, D Gordon, D Rafferty, D Rooney, K McKernan (0-1), C Garvey, P Fitzpatrick (0-1), K King, D Hughes (0-3), M Poland (0-1), B Coulter (0-1), P McComiskey (0-3), J Clarke (0-1), M Clarke (0-3, 3f). 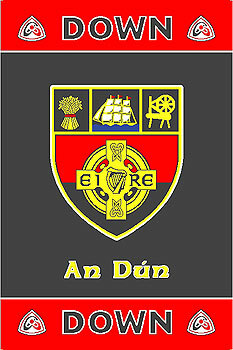 This entry was posted in Sports and tagged All-Ireland Senior Football Championship, Arts and Entertainment, Association football, Cork, Cork City, Cork GAA, Croke Park, Daniel Goulding, Graham Canty, Ireland, Nicholas Murphy, Sam Maguire Cup. Bookmark the permalink.